The Science and Technology Studies (STS) field is interdisciplinary. That is why situating solidarities with other disciplines and research fields should not be, at first glance, a complex process. However, as usually happens in the exercise of intellectual activity, reality does not track with estimations and so cross-breeding an already cross-disciplinary field such as STS, with another eclectic and evolving area of study such as Innovation Studies (IS) can be challenging. This was the transversal topic of the track cross-breeding science and technology studies and innovation studies. Three sessions were held reflecting on diverse topics from fashions in science and innovation policies, and variants of epistemic capitalism, to open innovation and deconstructing bioeconomic innovation narratives. The track was full of reflections on the research fields themselves and specific cases where STS and IS have intersected and benefited from each other. Figure: Liger. 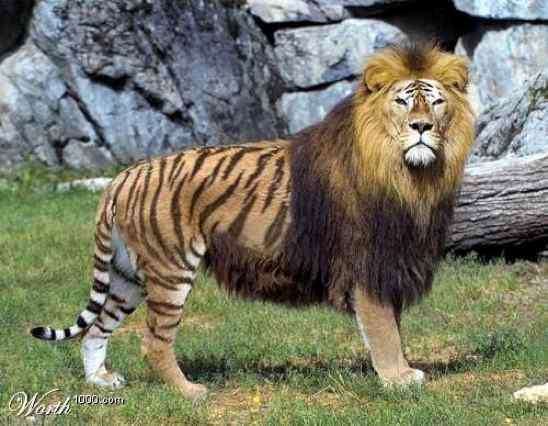 Hybrid cross between a male lion and a female tiger. Both parents are from the Panthera genus, but from different species. It was the second day of the conference, Thursday September 18th 2014, 9:30 a.m. The track convenors were ready to start another exciting day. Arie Rip, convenor and first presenter opened the track talking about fashion. The title of his presentation was: ‘Fashions in science and innovation policy’. I never thought of this before, but as the presentation advanced, it becomes quite clear that even in science and innovation policy there are fashionable theories to use – and to sometimes even abuse. What come next? Wait until a new trend shows up to forget and leave the previous theory in limbo? Following Downs (1972), Rip presented to the audience the issue-attention cycle to explain how a new scientific approach or discovery evolves through time having as a correlational variable the visibility and plateau of productivity of the so-called discovery. The stages of the cycle are: 1. The pre-problem stage; 2. Alarmed discovery and euphoric enthusiasm; 3. Realising the cost of significant progress; 4. Gradual decline of intense public interest; 5. The post-problem stage (or prolonged limbo). Parenthesis: By that point, I was thinking about my own research and the paper my colleagues and I would present at the end of the day. Based on the innovation studies arena, the National System of Innovation approach (NSI) has been widely used (and abused) by policy-makers around the world. Policy practitioners need ideas to mobilise actors and resources, whilst having a justified base to choose some alternatives over others. This is how the NSI approach as an open, evolving and flexible explanatory and action device became popular from the 1950s onwards (Lundvall, 1992). It is true, this approach became fashionable also during the 1960s for developing countries and keeps being used as a normative and discursive device. Going back to the presentation: After transiting through big science and mode 2 of knowledge production as diagnosis tools and focus artefacts for understanding on-going transformations; open innovation as a label to characterise a current phenomenon in firms to integrate internal and external capacities to innovate; and Grand Challenges (GC) and Responsible Research and Innovation (RRI) as buzzwords used in the European Union driven by the need of desirable transformations through strategic S&T policies; Rip closed his talk saying that fashions are there for a reason, but that every now and again scholars should have a critical view at what has been accumulated. We were just starting the track, and there were already some tones of tragedy in the environment, following Harro van Lente’s presentation: ‘Genres of innovation: Storylines of theories of technology’. Van Lente reviewed eight theories of innovation immersed within economic, socio-historical and management perspectives: neo-schumpeterian economics, innovation systems, path-dependency/creation, social construction of technology, large technological systems, multi-level perspective on technological transitions, technology cycles, and user innovation/diffusion. These perspectives present tensions between micro and macro forces that shape the innovation pathways within firms, industries, technological fields, countries, and global value chains. They also present different narratives to describe and explain reality. From this point, van Lente brilliantly exposed how these perspectives have an interpretation or narrative plot that can be classified in different genres (using an analogy to genres of theatre), following Hayden White (1973) who uses the prose discourse to define the historical work and John Staudenmaier (1985) who, building on White’s work, documents the emergence of the history of technology using storytelling narratives. The romantic plot is composed of the linear model, the NSI, and the user innovation, exemplifying the idea of progress through S&T. Then, there is a transition to the tragedy, where the failure of a heroic struggle to achieve progress is well explained by the path-dependency/creation. The comedy genre can be exemplified by SCOT and MLP bring up the complexity of interaction between micro, meso and macro levels where innovation takes place and the several misunderstandings between actors in their interactions to socially construct knowledge and technology. Finally, satire emerges as a reaction to the romantic view of S&T as the main engine of the modern progress, as in the work of Ellul (1980) about the technological system as a surrounding mediator in human relationships. My attention was caught by these fascinating storylines of theories of technology, and with mixed feelings I discovered that my favourite genre is the romantic comedy, even when it comes to research. I would present later about the misconceptions about the NSI approach when applied in different political settings. The presentation would emphasise on broad perspectives for building collaborative innovation policies (romantic view). In our paper, we highlighted the importance of relationships of cooperation and trust between market and non-market organisations and the use of Doing, Using and Interacting (DUI) approaches to stimulate competence-building at different levels of aggregation (Nelson and Rosenberg, 1993; Lundvall et. al., 2009). However, there are always misunderstandings, shortcomings, and politics of policies mediating in the policy building processes (comedy). After all, neither the linear model of innovation nor the systemic view is sufficiently powerful to capture the essence of innovation processes. So yes, innovation happens after all, but with many negotiations in the middle. Analytical possibilities are countless. The use of technological artefacts is natural in human activity, which means that social actors innovate locally, creating or adapting technologies to solve everyday problems. There are also global technological solutions supported by an extensive network of actors co-constructing innovations. I am going to refer to two specific examples presented in the track. Sampsa Hyysalo showed how the dynamics of dispersed peer-innovation can be seen in the use and adaptation of the kararat vehicles. I did not even know about the existence of these strange and flashy cars before the conference. These are cars built to skate or swim given variable weather conditions. Equipped with huge smooth wheels, there are unlimited configurations and varieties of such cars in eastern Estonia and Russia. Karakats are mostly used by low-income users who need them to cope with bad weather conditions and to support their economic activity. This has resulted in a process of collective innovation through pooling of competence and effort and has prevented manufacturers from taking over the market. This was an excellent case study of low cost innovation niches where there is a bricolage construction of an artefact from available technologies. The other example I will refer to here is the one presented by Lotte Asveld concerning bio-economic innovation narratives. This is an example of a technological system that has become very popular, or in Arie Rip’s words, a fashionable narrative. Asveld contrasted the neoliberal techno-scientific narrative supporting top-down measures for the adoption of biofuels as a low complex and easily compatible technology, with an agro-ecological narrative held by farmers and activists supporting the bio-based economies as alternative sources of income and energy production from a bottom-up approach. However, the relative advantage of proposing a sustainable source of energy has not been directly observable, neither has it been simple in terms of adaptability as was originally thought. This case showed how successful diffusion of innovation (DoI) of the biofuels concept has gone through a dynamic change in public perception and has been shaped by competing narratives. It was clear from these two examples that innovation emerges and is constrained by multiple socio-technical configurations and narratives where political and economic spaces play a key role. By this point of the conference, being a presenter myself who is bringing together theories and approaches from both STS and IS, I was positive that there is enough space to situate solidarities between scholars who from the beginning have been close in their intellectual background. My optimism was reinforced by the presentation of Robin Williams. He portrayed STS as a mongrel discipline with multiple shifting boundaries and engagements. However, everything comes at a cost, which means that cross-disciplinary collaboration does involve costs and risks. The extension of focus from design and implementation to appropriation and use of technology and the sociological focus on governance of terrains, sites and groups where innovation is being shaped and reshaped, is indeed a needed cross-breeding area. Nonetheless, the analytical focus of both fields (STS and IS) may become blurry progressing to a shapeless interdisciplinary arena where identities can be lost. It can be risky to breed different precepts, methodologies, political commitments and narratives, but if it is true that multiple engagements have proved to be a differential and outstanding feature of the development and vibrancy of the STS community and that IS have overcome the normative, positivist, non-problematic pro-innovation view, then the best of both worlds can result in exciting research possibilities with further academic and practical implications. As Williams started and closed his presentation, this is still a process under construction that is growing at an accelerated pace. It was Friday September 19th 2014 and the conference was coming to an end. I was at the same time excited and sad. Sharing such vibrant conversations and discussions with experienced and new researchers that are constantly moving the knowledge frontier made me feel motivated and energised. More than ever I felt I belong to this intellectual community that is continuously re-shaping and re-inventing itself. I could expect nothing less from this vibrant group. Being myself an anthropologist and systems engineer doing a PhD in Science and Technology Studies with a research topic based in Innovation Studies, I could finally breathe easy that I was not alone in the world. Downs, A. (1972) ‘Up and Down with ecology – the “issue-attention cycle”’, Public Interest 28(1972:Summer): 38-50. Ellul, J. (1980). The technological system. (New York: Continuum Publishing Corp). Lundvall, B. (1992). National systems of innovation: towards a theory of innovation and interactive learning. (London: Pinter). Lundvall, B, Joseph, K.J., Chaminade, Cristina, & Vang, Jan (Eds.). (2009). Handbook of Innovation Systems and Developing Countries. Building Domestic Capabilities in a Global Setting. (Cheltenham: Edwarg Elgar). Nelson, R. & Rosenberg, N. (1993). ‘Technical Innovation and National Systems’. In R. Nelson (Ed. ), National Innovation Systems. (New York: Oxford University Press). Staudenmaier, S.J. (1985). Technology’s storytellers: reweaving the human fabric. (Cambridge Mass: MIT). White, H. (1973). Metahistory: The Historical Imagination in Nineteenth-Century Europe. (Baltimore: Johns Hopkins). 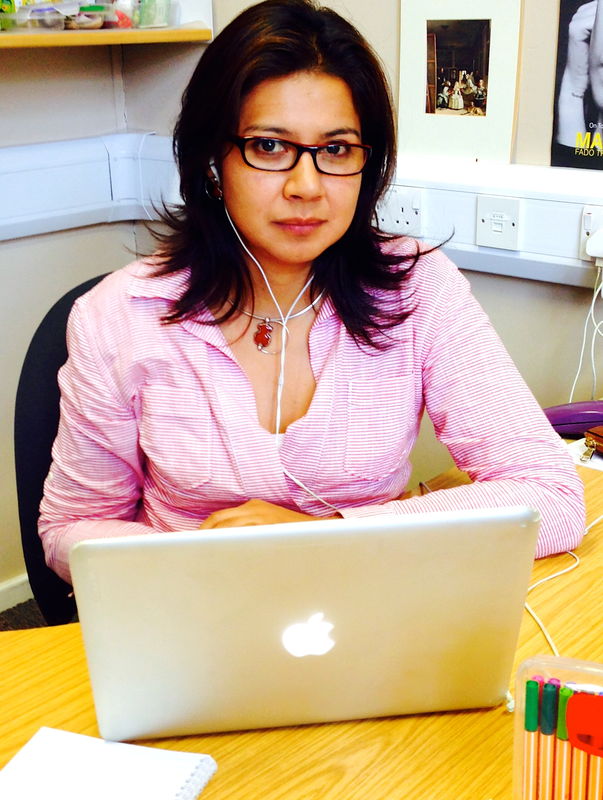 Diana Velasco is a doctoral researcher at the science and technology studies department at the University of Edinburgh. Her research centres on the coevolution of factors that lead to different innovation pathways and the construction and evolution of science, technology and innovation policies in developing countries.